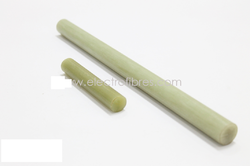 We are engaged in providing an exclusive variety of Pultruded Rods. The range made available by us is manufactured using high quality material so that it is in tandem with international quality standards. Post-production, offered products are stringently inspected by our experienced quality controllers on certain well-defined parameters of quality in order to rule out every possibility of defect. We are a prominent manufacturer, supplier, trader and exporter of an extensive range of Threaded Rods & Nuts. We manufacture these products using optimum grade material that is sourced from vendors of high repute with the aid of our procuring agents. To meet the variegated requirements of our esteemed clients, we offer these products in various sizes and dimensions at nominal prices. Owing to our vast experience, we have been successful in catering to the requirements of our esteemed clients by offering quality Pultruded Dog Bones. These products are manufactured using high quality material. Furthermore, we make sure that our range is packed in premium quality material to ensure its safe transit at customers' destination. 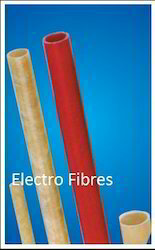 We are manufacturing, supplying, trading and exporting an exclusive range of FRP Tubes. All these offered products are manufactured under the close supervision of highly experienced professionals. Besides, our logistics personnel make sure that the consignments are timely delivered at clients' destination using easy shipment modes. 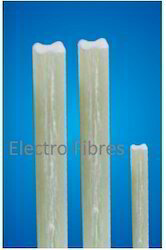 Looking for FRP EPOXY Rods ?